New York City Rap was the first hip hop show to come to London 1982. I was working for Melody Maker and asked to go photograph them at their hotel in Victoria. DJ Afrika Bambaataa, Grand Mixer D.St, The Rock Steady Crew, Futura 2000, Dondi, Ramelzee, Fab 5 Freddy and Rammellzee... these people looked so different from the punks and British bands I had been shooting. I loved the music, the art, the style, the breakdancing. I was immediately addicted, so moved to New York in 1983. Hip hop was happening all around me. In 1984, The Face magazine asked me to photograph some of the new hip hop acts emerging from Queens and Brooklyn. In a time before cell phones or email, I called the phone number they gave me for a group called Run-DMC, I think it was DJ Jam Master Jay’s mother’s house. I spoke to Jay who arranged to meet me later that week at the Hollis subway station in Queens. I had no idea what that part of the borough would be like. I was used to going to the Bronx and seeing burned out buildings, so I was surprised when Jay met me at the station and walked me to a nice tree-lined street where the group were hanging out with some friends. They lived in a middle-class neighbourhood, houses with backyards, cars. The photos I shot that day are a moment in time. 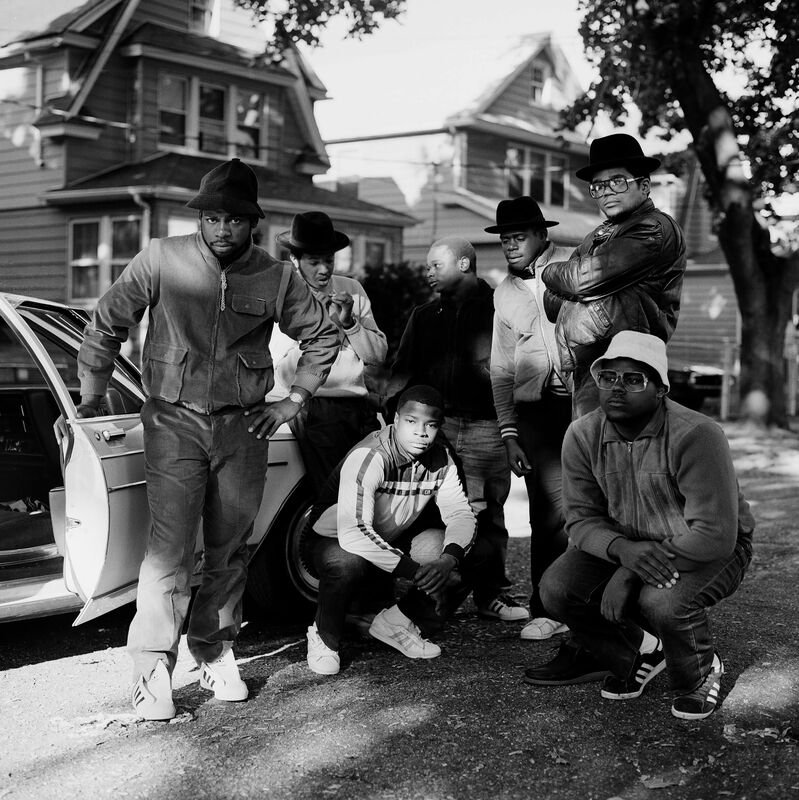 Run-DMC were perfectly styled wearing Kangol, Adidas, Cazals, cold chillin’ against the car on a warm day. 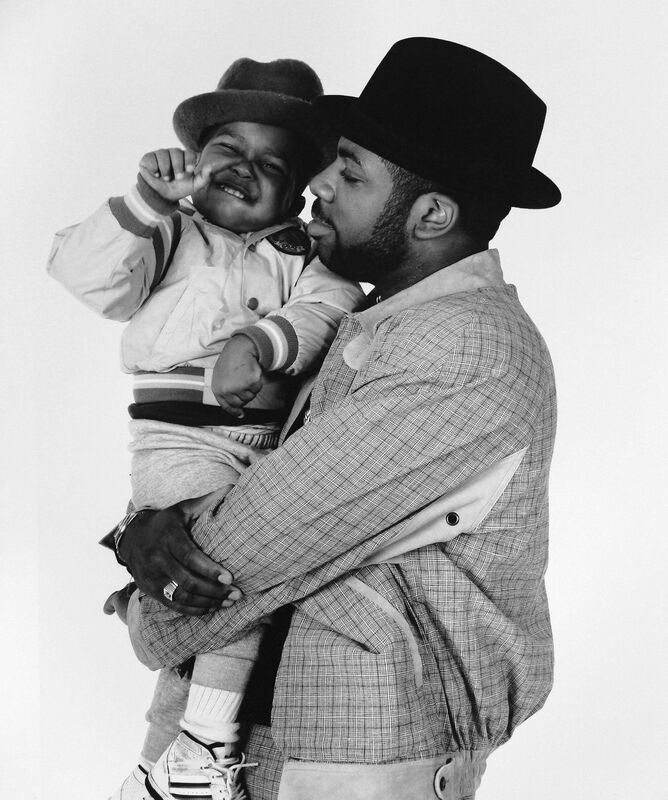 It signified a change in hip hop; kids from middle class environments rapping about their lives – so different from the Bronx crews’ depicted in ‘The Message’. 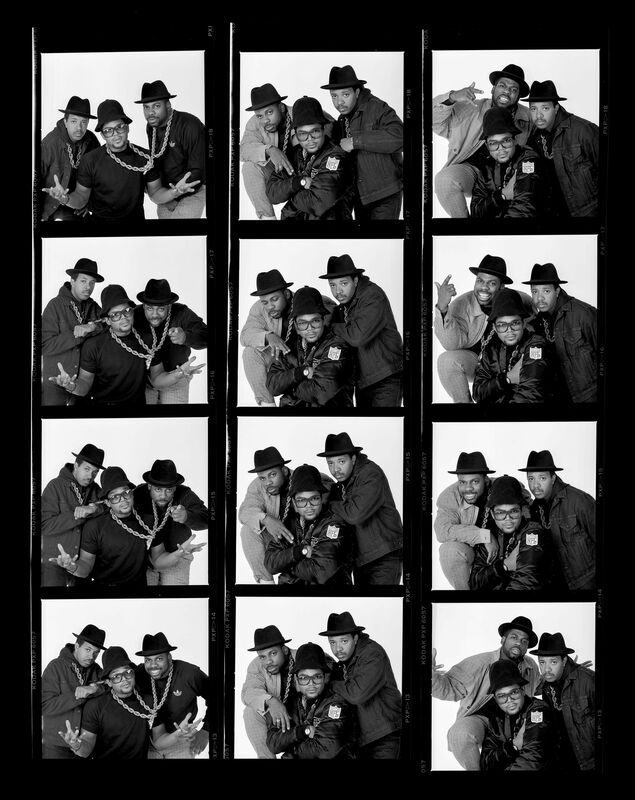 In 1988 Profile Records hired me to photograph the, by-then, hugely successful Run-DMC for the cover of a 12-inch single called ‘Mary Mary’, from the Tougher than Leather album. By this time, I was living on Avenue B – a gritty neighbourhood in Manhattan with a lot of flavour – and going to graffiti shows in the local galleries. I photographed so many hip hop artists: Salt-n-Pepa, Eric B and Rakim, KRS-One, Scott La Rock, LL Cool J, Public Enemy, Grand Master Flash, Bambaataa, Slick Rick. I was immersed in the culture. We did the shoot at my studio on Lafayette Street. They arrived with Bill Adler, the PR from Rush/Def Jam, and some friends. Jay brought his son who must have been three-years-old. It was a great photo session. We played music and the guys, by now used to posing, wore gold chains in their signature Run-DMC hats. They seemed to be having fun. I took a photo of Jay with his son and polaroids of everyone posing with the band. Some 15 years later, Jay was murdered at his recording studio. The NYPD have still not found the killer. Today, Sony/Legacy records are releasing a 12-inch vinyl of Run-DMC’s ‘Christmas in Hollis’. It features one of my photographs from that photo session in 1988. Golden age hip hop still sounds good to me.